Esri has released a baseline set of three-dimensional mapped Ecological Marine Units for researchers to examine the ocean’s resources and detect ecological marine changes. The company said the Group on Earth Observations, a consortium of more than 100 nations with an Earth observation-related protocol, also commissioned a global map of EMUs with the goal to help preserve ocean resources and keep the environment sustainable. 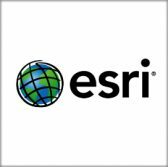 EMUs contain a statistical clustering of physically and chemically distinct volumetric regions that shows chemical properties Esri deems most likely responsible for driving ecosystem responses, Esri noted. The company added the cluster provides access to mapped ecosystems for organizations, academic institutions and scientists to determine positive or negative trends and use data to help inform marine preservation efforts. EMUs produce a set of ocean ecosystem units that serve as a base map for climate change research, biodiversity priority-setting, economic and social valuation studies and marine spatial planning, according to Esri.